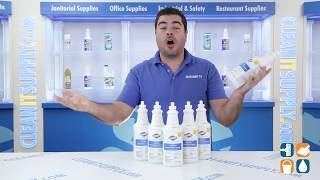 This ready-to-use cleaner disinfectant cleans, disinfects and deodorizes and is ideal for use in bathrooms, hospitals and kitchens. The one-step, spray-and-go formula simplifies sanitizing tasks in hospital, veterinary and food-prep areas. 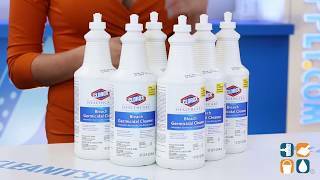 Clorox Germicidal Cleaner's unique detergent and bleach dilution strength is equivalent to the 1:10 bleach solutions recommended by the CDC for disinfecting applications. Can be used on ceramic, cement, fiberglass, glass, grout, laminates, metal, plastic and vinyl. Each carton includes 6 - 32-oz. bottles. 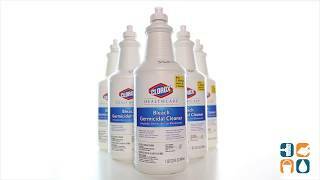 Order Clorox Germicidal Cleaner today and save. Buy more and save more!